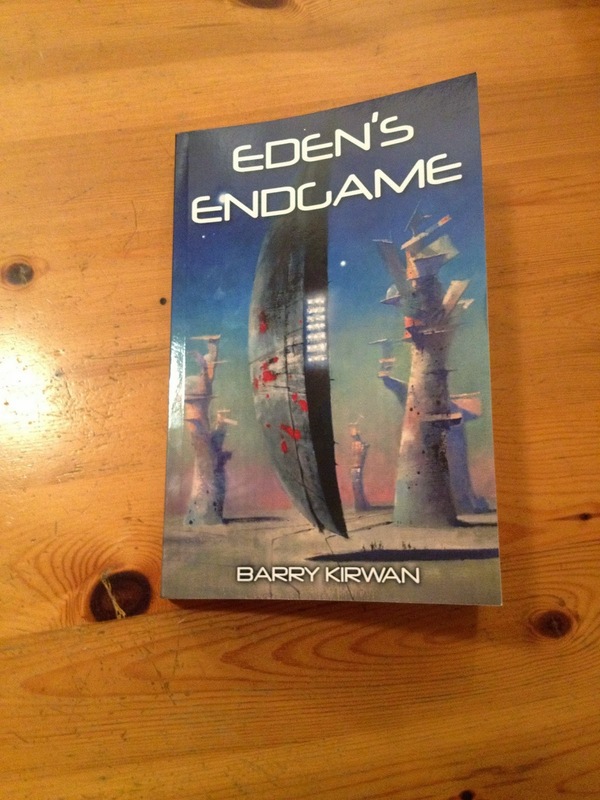 The Proof copy of Eden's Endgame arrived a couple of days ago, and I just finished reading it for the last time. I made a few tidying-up changes here and there, and have just sent it back to the publisher, so now we will see if it can be ready for Xmas! The Ebook version will come out a few days later, so will probably be out after Xmas but before New Year. Having read the book many times, it is somehow a different experience holding that first copy in your hands, poring through it and turning over the pages until the very end, the very last word. Am I happy with it? You bet. I love all four books but this one was a real challenge, to tie up everything, to maintain suspense until the end, and resolve everything in a satisfactory matter. So, right now, it's my favorite. I also love the cover, having had the rare opportunity to help design it with the cover artist John Harris. So, champagne soon when it is launched, and for now a nice strong cup of coffee in my local French brasserie. P.S.> If you've not yet read the third book, Eden's Revenge, there will be a giveaway sale of the Ebook version 15-17 December US-time.